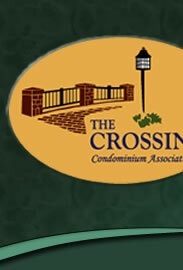 Welcome to The Fitchburg Crossing Condominium Association website - the place for the most current and complete information about our neighborhood. We are located in the heart of Fitchburg, Wisconsin, just minutes away from downtown Madison, one of the nation’s greatest cities. You can find us on Lacy Road less than a mile east of Fish Hatchery Road and a half mile west of Syene Road. The Members section of the website is for residents only. If you have any questions about our community, please contact the President of the Board of Directors. The February Financial statement was posted on March 19th. Financial tab. A map of the Masonry Damage was posted on February 26, 2019. This is an addendum to the February Meeting Minutes. Board and Committees tab. This is a list of homes that we know are for listed sale. If you are interested, please contact your realtor. 53 Harvest Way, Abbey model. 82 Pond View Way, Chateau model. Some floor plans are mirror images (reversed), and some Abbey models have been modified. Be sure to check out the Homeowner Info link. It includes information on the trash pickup schedule, reporting street light problems, and contacting our property manager. We encourage all residents to participate in making our Community the best that it can be for all of us. Your skills and talents benefit all. We can find a place for you even if you can only volunteer for an hour a month. Residents may contact the various committee chairs by using the Contact Us tab. Visitors are welcome to contact our Board of Directors by using the link at the top of this page.